25 correspondence cards and envelopes with a yellow lily image in the corner and a blue border around the edge. This large pack will give you enough cards for your wedding or party invitations, thank you's and general notes to friends. 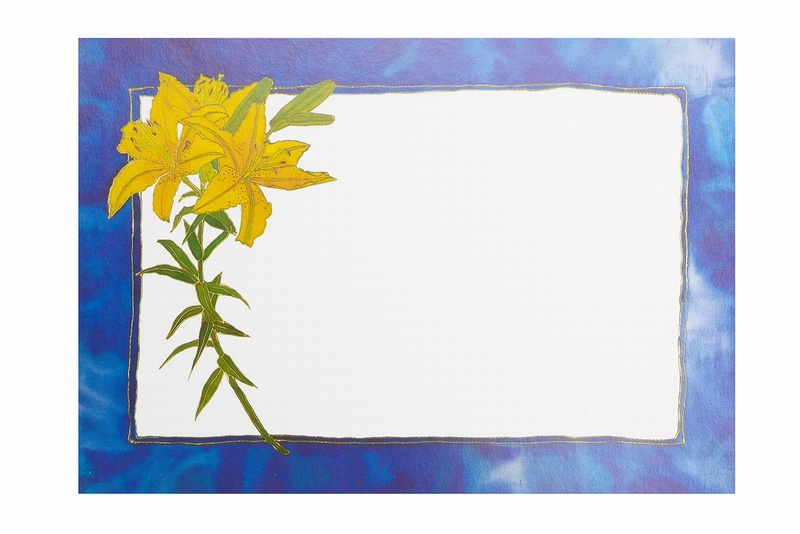 25 correspondence cards with yellow lilies and blue border.